– Shalane Flanagan talking about Mary Keitany after she ran her second half in 66:58 to win the NYC Marathon in 2:22:48. Allie Kieffer and Coach Brad Hudson Talk Her New York Preparations: "I think I can run 2:26"
Which celebrity will steal all the camera time at this year's New York Marathon? NYC update : Word on the street Geoffrey Kamworor is in absolute ridiculous shape! Any instances where your running actually helped you? LRC Final A Run For The Ages: Mary Keitany Blasts 66:58 2nd Half To Win Fourth New York City Marathon Crown Mary Keitany earned her fourth NY win by running the second half 27 seconds faster than the American record for the half marathon. 4 American women finished in the top 10 as Shalane Flanagan (2:26:22) and Molly Huddle (2:26:44) ran the second- and third-fastest times ever by Americans in New York. LRC Final Lelisa Desisa Holds Off Shura Kitata For NY Crown #1 Desisa dropped Kamworor on mile 26 and then held off a fast-closing Kitata. 4 Americans in the top 10, led by Jared Ward. Usain Bolt Turns Down $150,000 Deal With Aussie Soccer Club Reports say Bolt was hoping that sponsors would be able to bump his salary to $3 million. Bolt says he’s still hoping to eventually land a pro soccer contract. Reuters Article Says They Bolt Left On Amicable Terms With The Club The free worldwide coverage they received while he was with them certainly didn’t hurt. 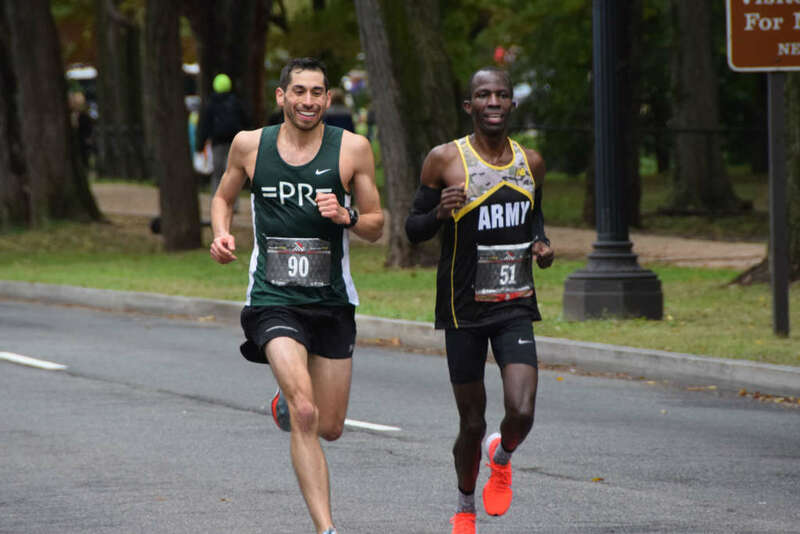 Men’s Preview: LRC Who Is Going To Win The 2018 NYC Marathon? 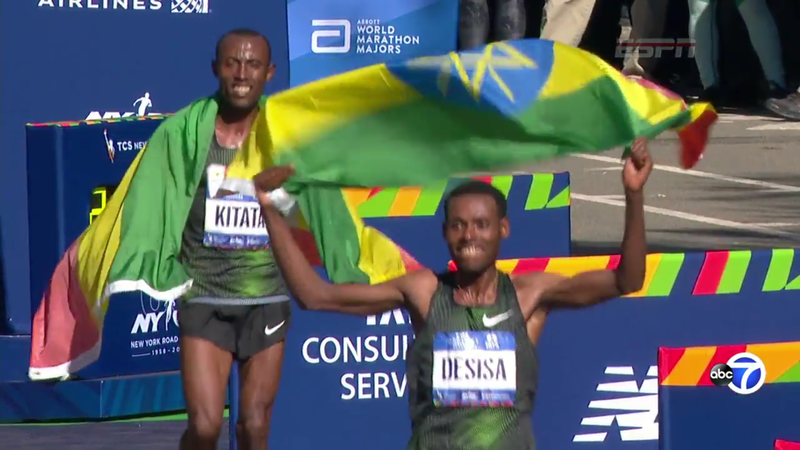 Geoffrey Kamworor Defends As 2:04 Men Tamirat Tola & Shura Kitata Chase First WMM Victory Only twice in the history of New York has an Ethiopian man won in New York. That’s likely to change on Sunday unless Kenya’s Geoffrey Kamworor can defend his title. LRC U.S. Men’s Preview: 43-Year-Old Bernard Lagat Debuts, & Who Will Step Up With Galen Rupp On The Shelf? Last year a 40-year-old man took top US honors in NY. Might a 43-year-old running the first marathon of his life do it in 2018? That would be crazy. LRC Still Chasing The Dream: Six Years After Moving To Flagstaff, Unsponsored Marathoner Nick Hilton Is (Still) Trying To Get The Most Out Of Himself Not everyone who chases the dream and moves to Flagstaff, AZ is a highly sponsored pro. Meet the unsponsored Nick Hilton, who is still chasing the dream as he nears his 30th birthday. 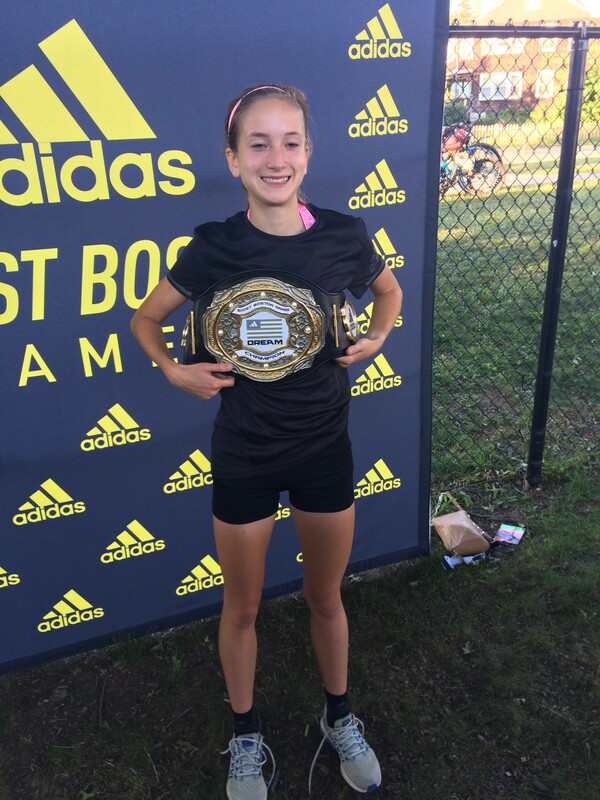 Podcast Interview With Allie Kieffer Ahead Of NYC Carrie Tollefson talks to Kieffer about her expectations this year after her 5th place finish last year. Good Read: Runner’s World: Where Are the Sub-2:10 U.S. Marathoners? Besides Galen Rupp, no American has gone sub-2:10 since Meb Keflezighi did in 2014. However, that could change this weekend in NYC where the field has eight Americans with PRs of 2:13 or faster. 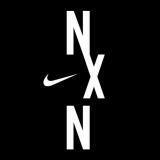 Good Read: The NY Times: NAZ Elite – Where Training For The NYC Marathon Is A Reality Show At NAZ Elite, there is no secrecy. From training logs to workout videos, nearly everything is public. Solid Fields Set For USATF 5k Championships Saturday At The Abbott Dash To The Finish Line 5k Paul Chelimo faces defending champion Shadrack Kipchirchir, Dathan Ritzenhein, Matt Centrowitz, Leonard Korir and Eric Jenkins. The women’s race has Amy Cragg, Emily Sisson, Kim Conley and top returner Lauren Paquette (4th last year). LRC World Records In Half Marathon And Masters Marathon + Oregon Pulls Upset At PAC-12s And Cas Loxom Retires All hail the Ole Miss men, who won their first SEC XC title and the Oregon women, who upset the #1 ranked team in the land to win PAC-12s after losing their coach and 2 All-Americans. Plus a reason why Galen Rupp fans shouldn’t fear his career is over. December 2: Ten Sub-2:10 Japanese Men Lead Field For Fukuoka Marathon The field includes Yuki Kawauchi, half marathon national record holder Yuta Shitara (2:06:11 PR), 2015 World Champion Ghirmay Ghebreslassie, 2011 World silver medalist Vincent Kipruto and GB’s Callum Hawkins. Meijo University Wins Second-Straight National University Women’s Ekiden The team ran 2:05:26 to win by 34 seconds. 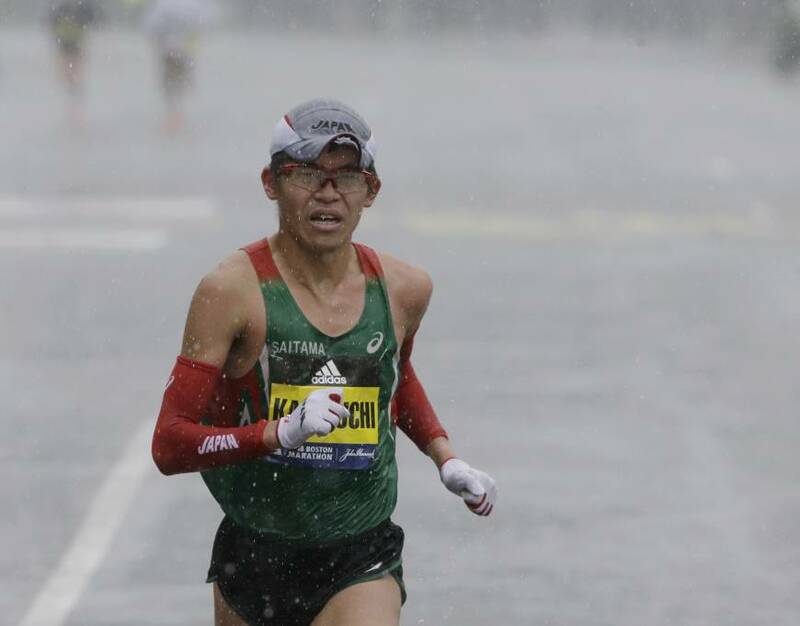 In Case You Missed This: NY Times: “Yuki Kawauchi Is Distance Running’s Elite Oddball” This pre-Chicago article has some cool tidbits about Kawauchi like his racing in a panda costume and ritual of getting a post-race hamburger where ever he travels around the world. 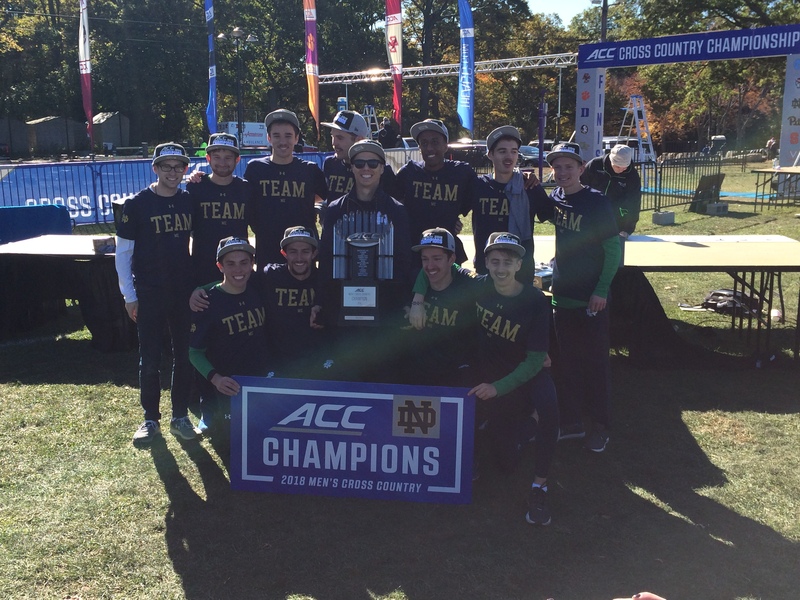 ACCs LRC 2018 ACC XC Recap: #15 Notre Dame Men End #10 Syracuse’s 5-Year Reign; #12 NC State Women Edge #18 Notre Dame By 1 Point The Syracuse had won ACCs every year since joining the conference in 2013 but went down today in Boston. Virginia Tech’s Peter Seufer and Louisville’s Dorcas Wasike got the individual wins. 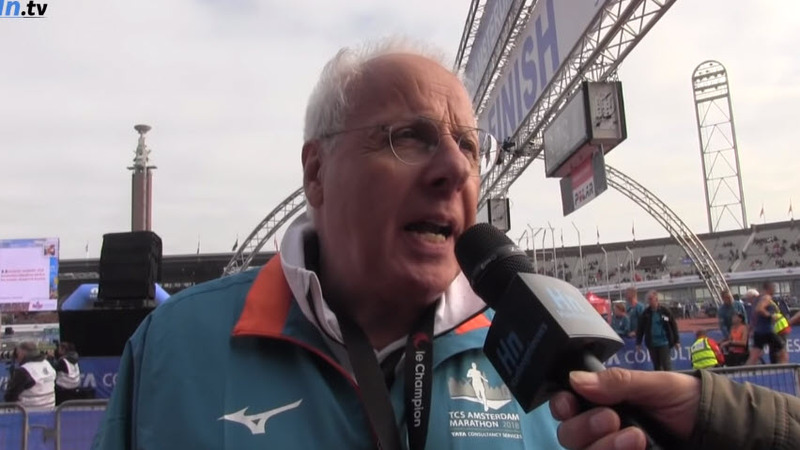 *More Post-Race Interviews: V Tech’s Peter Seufer, Louisville’s Dorcas Wasike And NC State’s Laurie Henes React After Winning Titles We also have post-race reaction from Wake Forest frosh Zach Facioni, who was 2nd. Big 12s MB: Iowa State Uses A Pacemaker At Big 12s, Only Finished With Five Men But They Sweep Men’s And Women’s XC Titles On their home course, Iowa State was the big winner as they took home the 2 team and 2 individual crowns. Mountain West MB: Led By A 1-2-3 Finish, #2 New Mexico Edges #3 Boise State (33-35). #8 Boiste State Men (50) WIn Over #16 Air Force (63), #17 Colorado State (76) And #13 Wyoming (80). The question really that remains though is simple – “Are the UNM women strong enough at #5 to win it all?” Their #5 was 28 seconds back of #4 today. PAC-12s MB: #4 Oregon Women Destroy #1 Colorado And #6 Stanford – #4 Stanford Men Handle #7 UW, #8 Colorado And #11 Oregon Dani Jones and Grant Fisher were the individual champs. SECs MB: Ole Miss Wins It First SEC Men’s XC Title! Arkansas Women Win 6th Straight The Ryan van Hoy show continued at the SEC meet today. With two freshman at #6 and #7, Ole Miss edged Arkansas for the SEC title – their first-ever SEC XC men’s title. In the women’s action, #5 Arkansas DESTROYED everyone for their 6th-straight title. Gilbert Boit and Jessica Pascoe were the individual champs. *Michigan Women Capture Their Third Consecutive Big Ten Women’s XC Crown Wisconsin’s Alicia Monson got the individual win. *Columbia Women Claim Their Second-Straight Heps XC Title Columbia beat Dartmouth comfortably by 34 points. Yale’s Andra Masterson won the individual title. Kevin Mayer And Dina Asher-Smith Named European Athletes Of The Year Mayer set the decathlon WR while Asher-Smith won three golds at the European Championships. Armand Duplantis and Jakob Ingebrigtsen were jointly awarded the men’s Rising Star. Now Retired Greg Rutherford Wins Lifetime Achievement Award At European Athletics Golden Tracks Awards Ceremony Rutherford is among a short list of people who have held the Olympic, World, Commonwealth and European titles all at the same time. Nominees Announced For IAAF Male World Athlete Of The Year The ten athletes include distance runners Eliud Kipchoge, Timothy Cheruiyot, Emmanuel Korir as well as US sprinters Christian Coleman and Noah Lyles. Nominees Announced For IAAF Female World Athlete Of The Year There are ten nominees including Sifan Hassan, steeple WR holder Beatrice Chepkoech and Caster Semenya. Pics? Best Photographs Of 2018 To Be Recognized At IAAF Athletics Awards In December Did you snap any good track photos in 2018? There is a separate contest for best photo by a fan. *Judges Announced For IAAF Photograph Of The Year Award Former USA long jumper Dwight Phillips is one of the judges. IAAF 2018 In Review: Middle And Long Distances Highlights included eight men going sub-13 in the Brussels 5,000 and Emmanuel Korir‘s 1:42.05 was the sixth-fastest 800m of all-time. IAAF 2018 In Review: Hurdles And Steeplechase Beatrice Chepkoech ran 8:44.32 to break the steeple WR while Sydney McLaughlin was only .41 off the WR when she ran 52.75 in the 400H. 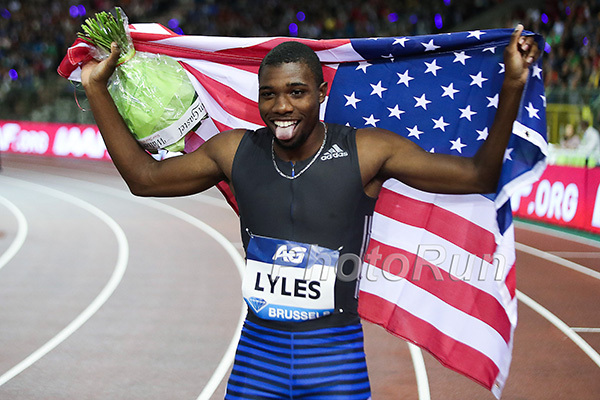 IAAF 2018 In Review: Sprints USA’s Christian Coleman and Noah Lyles highlighted the short sprints. 2018 In Review: Combined Events And Relays Some athletes use the “off year” for some down time. France’s Kevin Mayer used it to break Ashton Eaton‘s decathlon world record. IAAF 2018 In Review: Jumps Russian Mariya Lasitskene has cleared 2.00m or better 32 times in the last two years, but the rest of the world combined has only gone over it seven. IAAF 2018 In Review: Throws It was a good year for the men’s shot with a record 21 competitions where someone threw over 22m. IAAF 2018 In Review: Racewalks Yup, it’s still a thing. Includes Videos: Japanese Woman Crawls 200m To Keep Her Team From Getting Disqualified From The National Ekiden Championships Rei Iida crawled on the pavement with bloody knees until she handed off to her teammate in the exchange zone. And she wasn’t the only one who struggled as Harumi Okamoto became so disoriented on the course that she turned around multiple times before reaching the turn-around cone and almost ran into an upcoming motorcycle before she finally collapsed in the grass on the side of the road. Good Read: When Your Heroes Overstay Their Welcome – Is It Time For Kenenisa Bekele To Retire? An interesting look at the difficult question of how do you know it’s time to hang ’em up and the contrast between going out on top or staying around long past your prime. BBTM: Cam Levins Is Now On An Exclusive List Of Men Who Have Gone Sub-4 And Sub-2:10 Only 25 men in history have broken the barriers in both events. Terrible Air Pollution Was A Concern At The Delhi Half Marathon Again For the second year in a row, medical and environmental organizations were calling for the race to be postponed because of Delhi’s notoriously bad pollution at this time of the year. LRC Feature A Leap For The Ages: Bob Beamon’s 29-Foot Long Jump Turns 50 A half century later, there’s still only one way to describe the men’s long jump at the 1968 Olympics: Beamonesque. We take an in-depth look at one of the greatest singular accomplishments in sports history. Beamon improved the WR by 6.59% – that’s the equivalent of someone in 2018 lowering the marathon WR to 1:53:28 or the 100-meter record to 8.95. 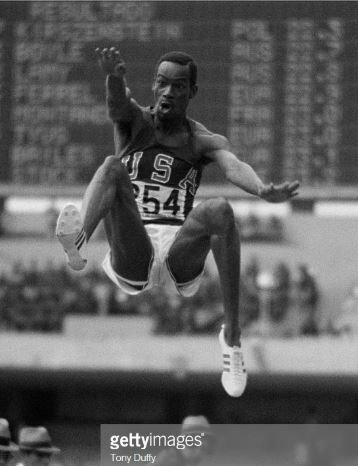 *MB: 50 years ago, Bob Beamon made history. Where does his performance rank on list of greatest singular sports performances? LRC Why Is The Long Jump World Record So Hard To Break? Mike Powell‘s WR has stood for 27 years and the #2 mark from Bob Beamon celebrates its 50th anniversary today. What explains their longevity? Are the best athletes in the NFL? Are the runways too soft? Is there a mental block? BBC Video Looking Back On Bob Beamon’s WR The 3-minute video includes some cool old footage. 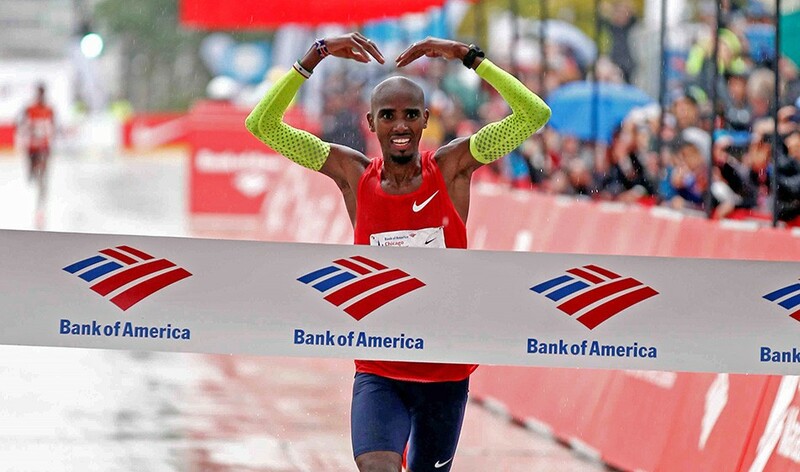 LRC Listen To Our New York City Marathon Preview Podcast 50 minutes breaking down the races. The Guardian: WADA Accused Of Being Soft On Doping At Emergency White House Summit Meeting Alysia Montano was one of the athletes to speak and she was in tears as she explained how WADA’s shortcomings cost her a bronze medal at the 2012 Games. Reuters: WADA Suspends Two Romanian Anti-Doping Officials For Covering Up Positive Tests A whistleblower had come forward with the allegations and the lab was suspended by WADA last year. *InsideTheGames: Directors Involved In Romanian Lab Cover-Up Fired As Investigation Continues An investigator says that an “external entity” pressured the directors into covering up the samples in the lab. IOC Retesting More Samples From London 2012 They want to continues tests through 2019 before the 2020 statute of limitations is reached. Previously, 48 violations were found in the 500+ samples that were re-analyzed from 2012. WADA To Audit Russian Anti-Doping Agency In December This check will determine if RUSADA remains compliant. LRC Who Is Going To Win The Women’s 2018 NYC Marathon? 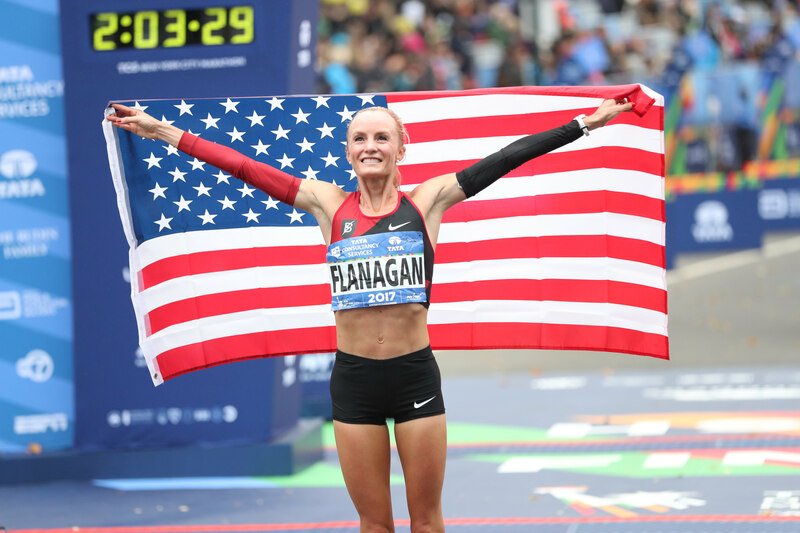 Does American Shalane Flanagan Have A Chance To Repeat? Americans Des Linden and Shalane Flanagan both have won a major in the last year but they both are big underdogs at the 2018 TCS New York City Marathon. *MB: 2018 NYC Women’s Race: Can Shalane Flanagan or Des Linden repeat as WMM champ? Make your picks now. LRC Meet The Fascinating American Women Who Won’t Win (But Could Break Out At) The 2018 New York City Marathon We guarantee they won’t win or your money back, but there are some cool stories with Stephanie Bruce, Sydney Devore, Carrie Dimoff, Roberta Groner, Allie Kieffer and Sarah Sellers. LRC The Rebirth Of Des Linden After winning her first major marathon (heck, her first marathon ever), Desi Linden didn’t play it safe. She parted ways with the Hansons-Brooks team and it will be a different Des Linden that toes the line at the New York City Marathon this weekend. *MB: After winning Boston, Des Linden parted ways with the Hansons’ team. Bold? Crazy? Wise? Georgia’s Keturah Orji Named 2018 NCAA Woman Of The Year This was an all-sports award, not just track and field. Eastern Kentucky’s James Sugira And Florida’s Jessica Pascoe Are NCAA Athletes Of The Week The freshman Sugira dominated the Ohio Valley Championships to win by 36 seconds while Pascoe won Florida’s first individual SEC XC title since 2009. Recommended Read: After Getting Lost And Going To The Hospital With Heat Stroke Last Year, Jeff Stein Bounced Back In 2018 To Win The Marine Corps Marathon Stein, a 32-year-old public defender won the race in 2:22:49 and said he could only got to do real marathon training the last three weeks because his time has been taken up by a quadruple murder case. Jenny Mendez Suanca Gets Dominant 2:40:19 Victory At The Marine Corps Marathon She finished more than six minutes ahead of second place. MB: Boulder Track Club Elite Coach Lee Troop Stepping Away From Coaching Troop says he is still working through the death of one of his athletes, Jon Grey. Paula Radcliffe Says Mo Farah “Just Doesn’t Know How To Lose” Radcliffe dished out a ton of praise for Farah and his Chicago Marathon win (which her husband coached him to) and also said she thinks he can still run faster on the track. A Road Result We Missed: GB’s Eilish McColgan Wins Great South Run 10 Mile In 54:43 Over Steph Twell On the men’s side, Chris Thompson became the first runner to win the event for a third time. Lilia Fisikovici Lowers The Moldovan Marathon National Record By More Than Two Minutes With 2:28:26 At The Ljubljana Marathon She was the top non-African in 6th to break a NR that had stood for 27 years. IAAF Inside Athletics Podcast – GB Sprinter Adam Gemili They claim to discuss some “hot topics in athletics,” but we doubt we’ll hear them talking about any controversies like the Caster Semenya debate or WADA reinstating Russia. IAAF Inside Athletics Video: Ato Boldon Interviews Norway’s Two-Time Olympic Javelin Champ Andreas Thorkildsen Thorkildsen retired from the sport in 2014. Usain Bolt Offered A Deal By The Central Coast Mariners, But “Unlikely” To Sign Contract From the sounds of it, the club won’t be able to offer him enough money without “the financial contribution of an external third party” and wouldn’t have him playing in the regular season games. NZHerald: “A-League Club Shuts Out Usain Bolt From Training As Contract Talks Fail” The club statement said that he won’t practice during negotiations so “there is no distraction” to the team. Pretty Sure That Isn’t A Compliment: Irish Soccer Player Andy Keogh Says Usain Bolt Has “Touch Like A Trampoline” Keogh also said that a contract for Bolt was “fine from a marketing point of view” but “farcical” from a soccer perspective. MB: Galen Rupp Undergoes Foot Surgery, Will Miss 2019 Spring Marathon Season Last week Rupp decided to get surgery “to correct a condition called Haglund’s Deformity, a bony bump on his heel that was causing his Achilles tendon to fray.” He hopes to start running again in three months. He added this will let him help his wife more as they are expecting their fourth child. Oregon21 Gets $10 Million In State Money For The World Championships Organizers were originally asking for $40 million, then scaled back to $25 million and eventually the $10 million they got. MB: College sports are affirmative action for rich white students according to The Atlantic 65% of athletes in the Ivy League are white. MB: Former High School Star Kate Murphy Retires From Collegiate Running After two years of dealing with injuries and two surgeries at Oregon she’s decided to “step back from competitive training and running during this time in [her] life.” She says she isn’t calling it the “end of her running career”, but won’t be running in the NCAA. Sad News: University Of Utah Multi-Eventer Lauren McCluskey Shot And Killed On Campus She was shot and killed by her former boyfriend who was found dead hours later inside a church. NAU’s Jack Shea And Providence’s Abbey Wheeler Are NCAA Athletes Of The Week Shea, a freshman, lead NAU to a 1-5 sweep at the Redhawk Invy while Wheeler won the Central Connecticut State University Mini-Meet. Lawrence Cherono Shatters The Course Record To Win The Amsterdam Marathon In 2:04:06 Kenenisa Bekele was with the leaders through the half, but fell off and dropped out near his hotel at the 40k mark and walked back to his room. On the women’s side, Tadelech Bekele defended her title in 2:23:14. Making her marathon debut, two-time Olympic champ Meseret Defar was 7th in 2:27:25. LRC An Examinaton Of Kenenisa Bekele’s Bizarre Day At The 2018 TCS Amsterdam Marathon The greatest distance runner in history had a bizarre day today in Amsterdam. We detail it for you here. Updated with quotes from Jos Hermens. MB: bekele should of walked it in. MB: Sweat elite predicts 2:02:34 for Bekele this weekend thoughts? MB: Will Kenenisa Bekele, the King of cross country and the greatest distance runner ever witnessed, at last, relish in retire? 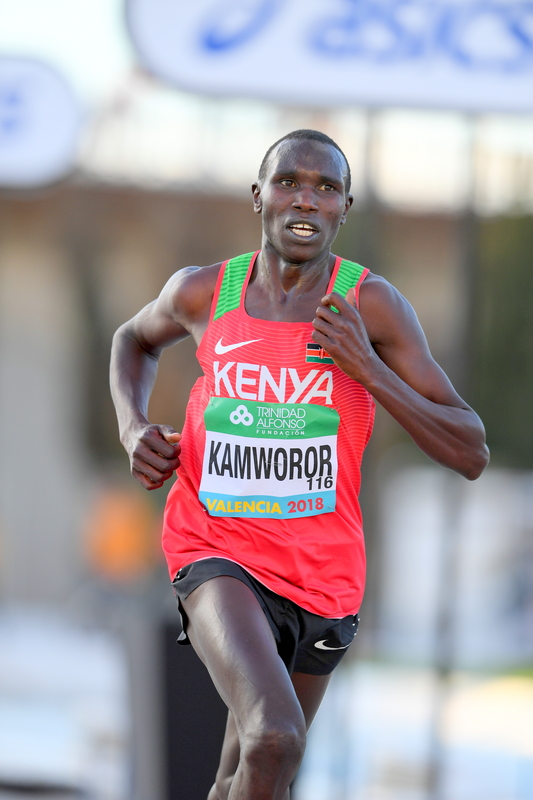 LRC The Kenyans Say They’re Fit, But So Does Shura Kitata, Plus The Africans Talk Shoes Hear what the international stars (Geoffrey Kamworor, Vivian Cheruiyot & Mary Keitany and more) said in advance of Sunday’s marathon. LRC Catching Up With U.S. Stars Matthew Centrowitz & Paul Chelimo Ahead Of Saturday’s USATF 5K Champs Centro talks about Seattle, Chelimo tells us who is fit and what he thinks about guys running 12:43. IAAF Weekend Road Preview: Ethiopia’s Azmeraw Bekele (2:07:12 PR) Looking To Defend His Title At The Hangzhou Marathon In China Hirut Tibedu (2:23:35) leads the women’s race. Nixon Kurgat (2:07:11) And Nurit Yiman (2:28:41) The Fastest At The Nice-Cannes Marathon Meanwhile, ten sub-2:11 men are running at the Porto Marathon in Portugal. 10 Days To Go Until The Start Of The 2018/19 IAAF Cross-Country Permit Series The series of nine meets kicks off in Spain with a field lead by former world champion Imane Merga. LRC Who Is New Half Marathon World Record Holder Abraham Kiptum, And How Did He Run So Fast In Valencia? 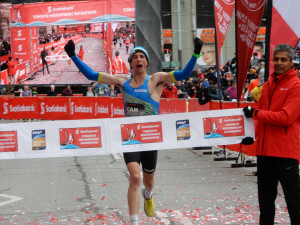 Get the inside scoop on the new half marathon WR holder. Turned down for a spot at the 2018 Chicago Marathon, he decided to test himself at the 13.1 distance and the rest is history. 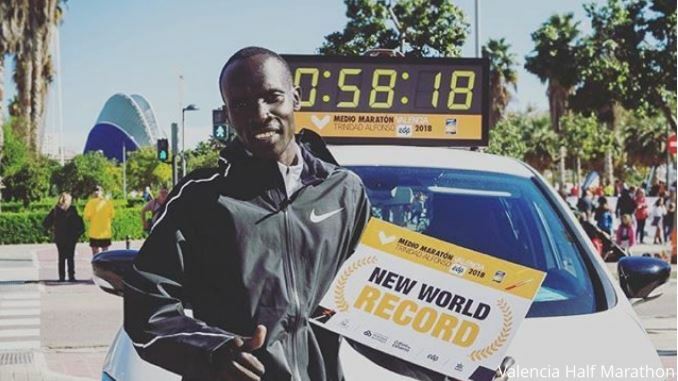 *MB: Meet new Half Marathon WR Holder Abraham Kiptum – Turned down by Chicago, he ran a half marathon instead and broke the WR!! MB: Kenya’s Abraham Kiptum Breaks Half Marathon World Record With A 58:18 In Valencia After a 28:02 1st 10k, the 29-year-old Kenyan, who has a 2:05:26 marathon PR and only started racing professionally in 2015, ripped off a 27:16 2nd 10k to break Zersenay Tadese‘s record by 3 seconds (pending verification) on a record-setting day where 8 men broke 59:30. Kelkile Gezahegn (2:06:37) And Meskerem Assefa (2:20:36) Win Close Races At The Frankfurt Marathon It was a deep women’s race as the top 7 all ran sub-2:23 with Assefa beat out Haftamnesh Tesfay by just 11 seconds. On the men’s side, last year’s runner-up Gezahegn beat out another former runner-up Martin Kosgey by just 4 seconds. 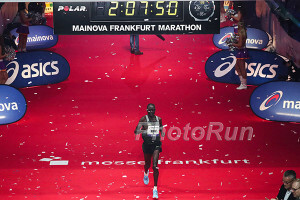 Mark Kiptoo (6th place) broke the masters world record with 2:07:50. *MB: Sara Hall – Frankfurt Marathon prediction thread Hall ended up a DNF as Lindsay Flanagan took top American honors in a 2:29:25 PR. Gebre Mekuant Ayenew (2:13:23) And Angela Jemesunde Tanui (2:31:30) Battle Strong Winds And Flooding To Win Venice Marathon Yuki Kawauchi had a tough day and finished in a “career worst” 2:27:43 for 7th. *Olika Adugna (1:00:29) And Gete Alemayehu (1:08:46) Made It An Ethiopian Double Win At The Marseille-Cassis 20k Adugna beat out Kenya’s Ethiopia’s Abera Kuma (1:00:30) by one second with Gerald Vincent another 3 seconds back. Ethiopians Asefa Bekele (2:13:42) And Mesera Dubiso (2:33:48) Win Dublin Marathon Irish national titles went to Mick Clohisey in 2:15:58 (6th overall) and Lizzie Lee in 2:35:05 (3rd overall). 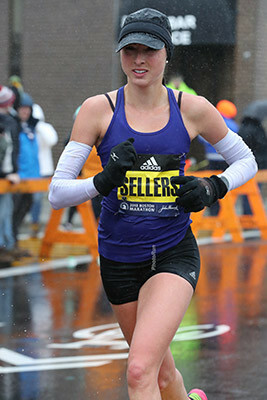 G ood Read: Catching Up With Shock Runner-Up At Boston Sarah Sellers Ahead Of The NYC Marathon Since finishing 2nd in Boston, Sellers has picked up a sponsor, but is still working full-time as a nurse. She thinks if she has a good day she can run in the 2:30s. Interesting List: Who Are The Fastest Married Couples At The Mile In HIstory? Shannon Rowbury (4:20.34) and her husband Pablo Solares (3:54.52) top the list with a 4:07.43 average. Newlyweds Genevieve LaCaze (4:31.56) and Ryan Gregson (3:52.2) are recent additions to the list with a 4:11.90 average. *PS – Did you know Molly Huddle is married to a sub-4 miler? Ryan Gregson And Genevieve LaCaze Tie The Knot They were married earlier this month in Sydney. WTW Canada And Cam Levins Celebrate Their 1st Sub-2:10, Kenya Outshines The World And Amsterdam And Young Ethiopians Deliver What a week. A couple of young Ethiopian studs rocked the Delhi Half, the TCS Amsterdam Marathon was historically good, a LetsRunner improved from 3:21 to 2:25 in the marathon and after more than 49 years, Jerome Drayton is no longer the Canadian record holder in the marathon as Cam Levins ran 2:09. In honor of Canada’s 1st sub-2:10, we’ve decided to list the number of sub-2:10s produced by every country – all 2,706 of them. More Sunday Road Action: Sub-2:10 For Cam Levins! RRW: Benson Kipruto (2:07:24) And Mimi Belete (2:22:29) Win Scotiabank Toronto Waterfront Marathon As Cam Levins Breaks The Canadian Record With A 2:09:25 Debut Tanzania’s Augustine Sulle was a close second in 2:07:46 while Levins was 4th and Jake Robertson 5th (2:09:52). Levins broke the 2:10:09 Canadian record which was set by Jerome Drayton nearly 43 years ago. Belete broke the women’s CR in a close race with defending champ Marta Megra (2:22:35). MB: Cam Levins SMASHES 43 year-old Canadian record with a 2:09:25 !!! MB: Why Did Cam Levins Break the Tape? Debutante Tsehay Gemechu Breaks Delhi Half Marathon Women’s Course Record As She Beats Out WR Holder Joyciline Jepkosgei And Tirunesh Dibaba Gemechu won in 66:50 to beat out Jepkosgei by 6 seconds and her countrywoman Zeineba Yim by 9. Dibaba struggled early and finished back in 6th (68:36). Ethiopia’s Andamlak Belihu won the men’s race in 59:18 to win over Amdework Walelegn (59:22). USA’s Leonard Korir was 6th in 60:12.